We enjoyed a Texas weekend getaway to El Paso with the intent to find fun things to do. 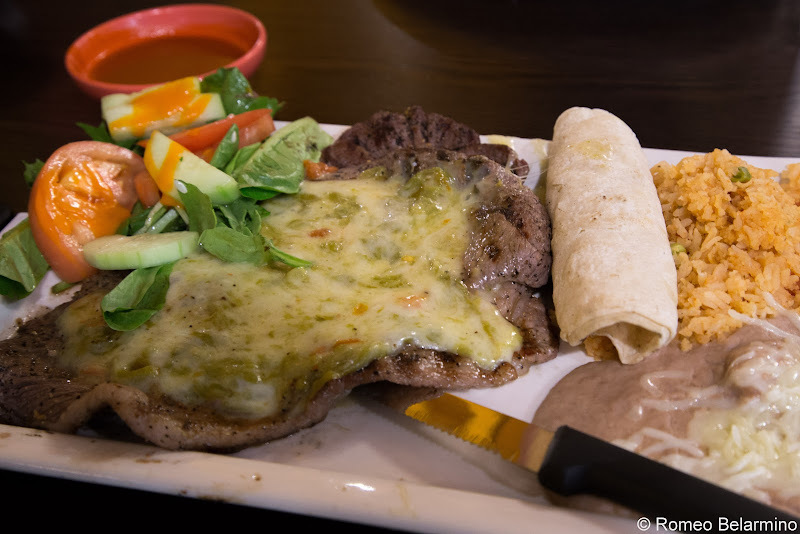 While there we also found some great El Paso restaurants which fit any traveler’s food desires, whether they want to enjoy border Mexican food, Texas steak and barbeque, or a more eclectic mix of foods of the world. Here is our guide to some of the great restaurants in El Paso, Texas. L&J Café started in 1927 as Tony’s Place. L&J Café is still a family-owned business, now being run by the fourth generation. The menu is filled with border Mexican food. 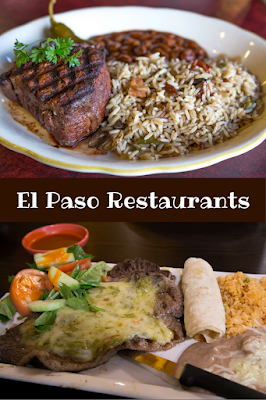 We went simple with our menu choices, Rome with a skirt steak and me with a bean and cheese burrito, but they had an El Paso flair with the addition of El Paso’s signature chile con queso topping. 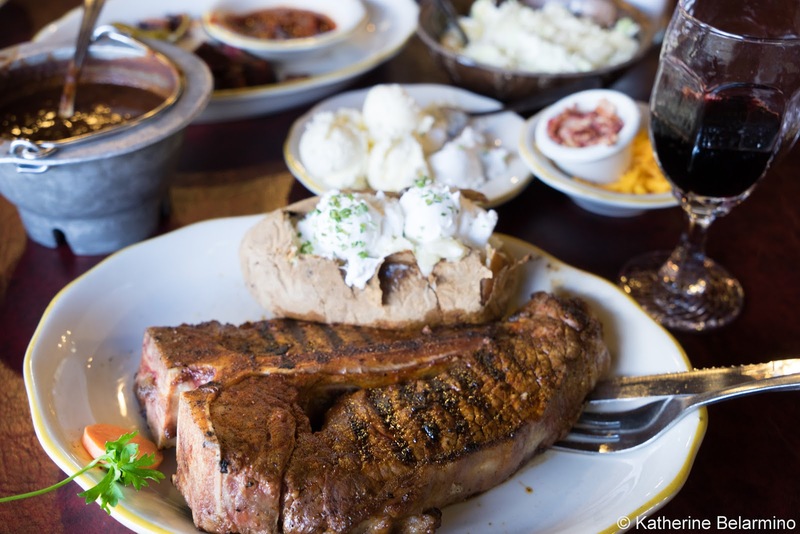 Cattleman’s Steakhouse didn’t start as a restaurant. Rather, it started as a place to rent horses. The owner, Dieter Gerzymisch, ran a horse rental business on the ranch and wanted to open a place for his customers to eat. The restaurant, which opened in 1973, grew in popularity, and therefore needed to grow in size. We ate at Cattleman’s Steakhouse on our last night in El Paso. We hadn’t had a chance to get some real Texas barbeque, so we decided to kill two birds with one stone and get both Texas barbeque and really good Texas steaks in one meal. 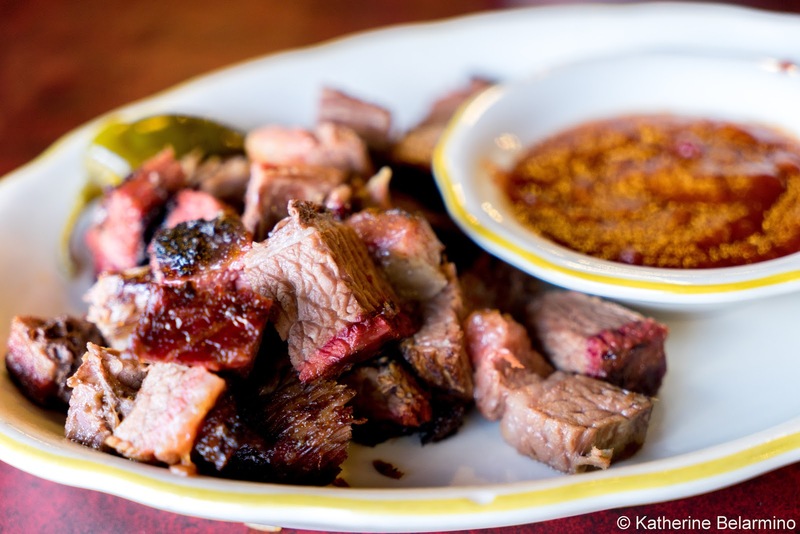 To that end, we started with the BBQ-Beef-Cubes, an appetizer of mesquite-smoked beef which came with a side of a delightful barbeque sauce. Then we got to the star of the meal, the steak. While steak purists will cringe, I usually like steak sauce with my steak. However, when my Cowgirl one-and-a-half pound T-bone steak arrived, I noticed it had a visible rub, so I decided to give it a try without steak sauce. The rub they use is so flavorful, steak sauce was not needed at all. Dinners are served with family-style sides of baked potato with all the fixings, delicious ranch beans, a unique coleslaw that includes pineapple of all things, and bread and butter. The menu is old-fashioned and the décor is kitsch, but it all works and I don’t think I’d change a thing. 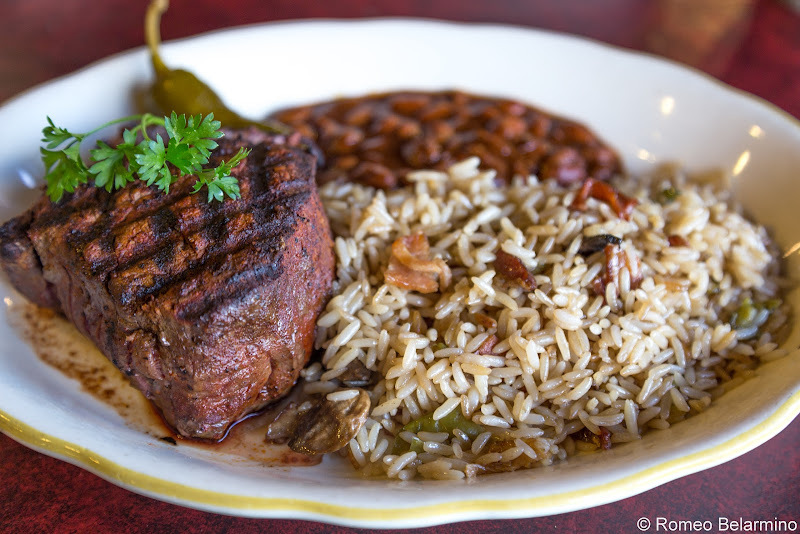 Cattleman’s Steakhouse isn’t just a restaurant. There is also a lake, a zoo, and a hayride that takes guests out into the desert to Indian Cliffs where there is a settler’s home, an adobe, and the remains of a movie set. Our first restaurant in El Paso was Pot au Feu, a restaurant in downtown El Paso serving international cuisine. It was a great start to our El Paso culinary experience. Pot-au-feu is a French beef stew, a poor man’s dish cooked over the fire all day. Pot au Feu used this dish as an inspiration for their menu, which features everyday dishes from around the world. Menu items included beef bourguignon, fish and chips, and Philly cheesesteaks. However, while the menu is inspired by everyday dishes, they are kicked up a notch. 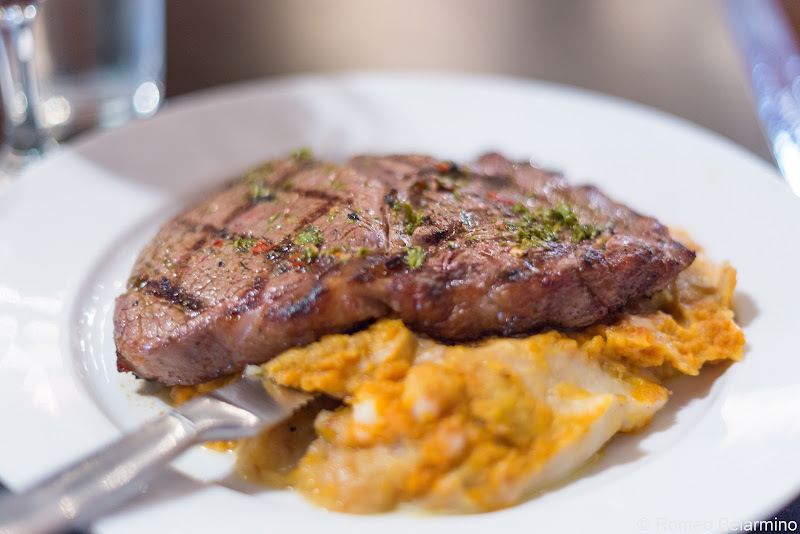 For instance, I ordered the chimichurri ribeye which came with an intriguing mash of potato, pumpkin, and plantain, creating a creamy yet textured slightly sweet accompaniment to my perfectly cooked steak. 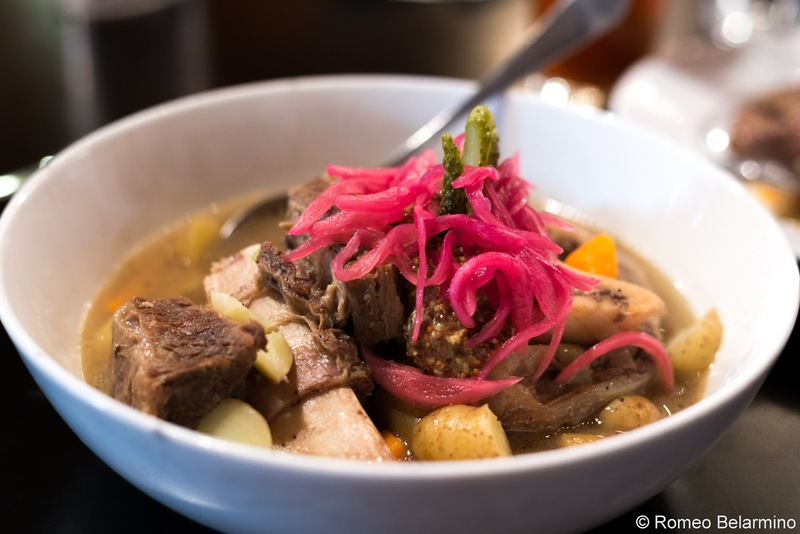 Rome had the namesake dish, pot-au-feu, with beef shank, short rib, carrot, leek, potato, whole grain mustard, cornichon, and pickled onion. The stew was a comfort dish with some delightfully acidic notes. 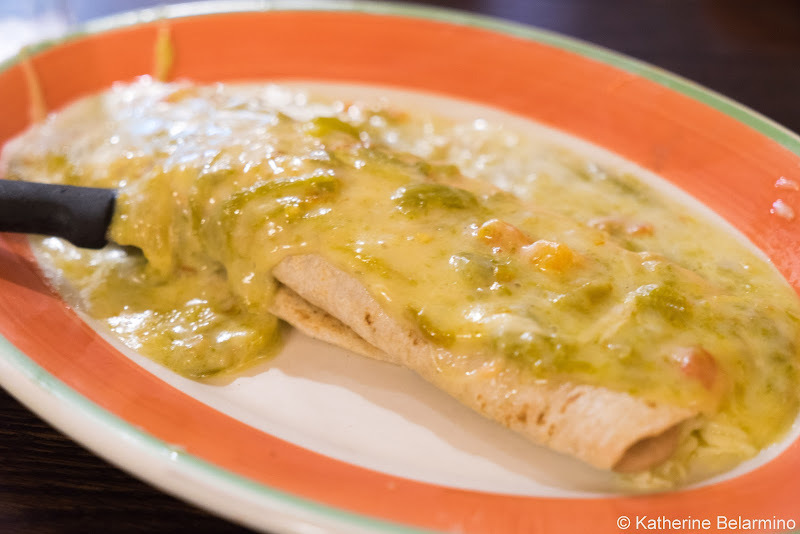 On a weekend getaway to El Paso it isn't possible to visit all the restaurants the city has to offer, but these three restaurants give a great overview of the cuisine El Paso has to offer and should be required for an traveler's visit. Thank you to Visit El Paso for hosting our Texas weekend getaway to El Paso and making this post possible. As always, all opinions are our own.